Brighten your holiday home decor with this cool colored collection in aqua blue, cardinal red, silver gray. Featuring snowflakes, birdhouses, birds on a branch, fir trees. I have a few bolts of this line left and some layer cakes. If you have a fun layer cake pattern, you can add borders and background fillers. 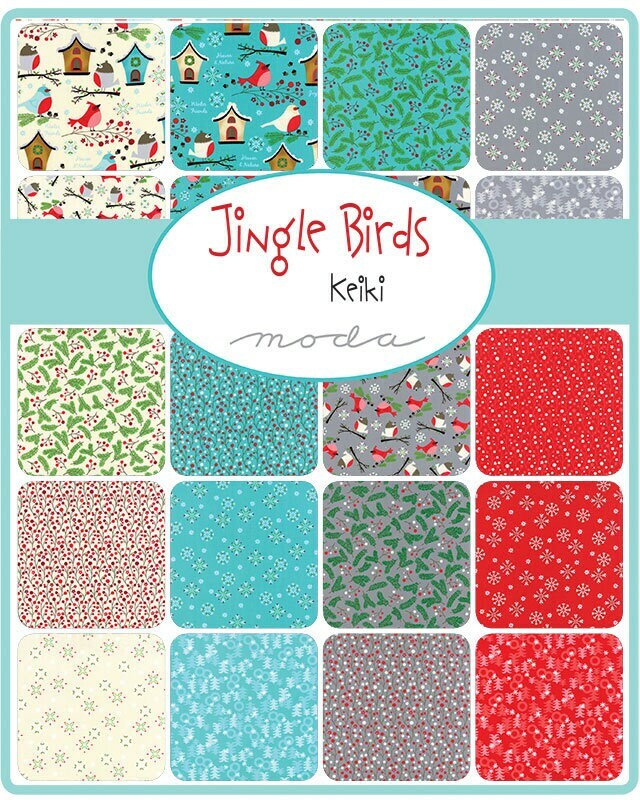 Layer cake contains 42 squares that are factory cut 10" x 10" from the entire Jingle Birds Collection, some are doubles. Fabric is new, stored in a pet free and smoke free environment.